Lately, we’ve been flipping through Pinterest, looking at some of the (frankly amazing) renovations and remodels people have been doing with their garages. From rumpus rooms, to guest houses and even living rooms, your garage has the potential to be a lot more than just a place where you leave your car! Of course, completely remaking your garage takes a lot of work. In many cases, renovators will need to call a licensed electrician to help out with wiring up their new living space. And that got us thinking. While most of us probably aren’t going to be adding a new room to our homes any time soon, there are a lot of other times you might need an electrician for your garage. 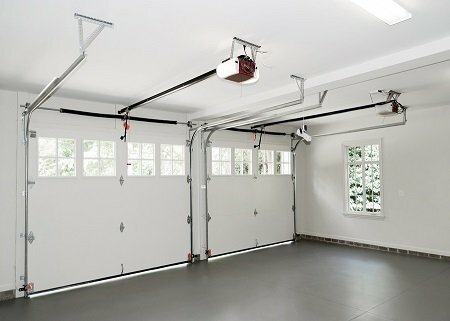 Here are just some common ways electricians can help home and business owners with important wiring in the garage. For many of us, the car isn’t the only thing we keep stashed away in the garage – what about your bike, tools, and other knick-knacks? If you want to secure your garage beyond the door, talk to your local sparkie about getting additional security measures installed. If your home has a security alarm installed, consider extending it to cover your garage as well. Your electrician can wire up additional sensors in your garage and link them to your existing home security system. And if you don’t have one already, we can install a complete home security system that includes your garage. Where would we be without lighting? The garage is just one space in the home that requires adequate lighting for safety and for when you’re working within it – whether that be inspecting the engine of a classic car, or if your garage has become your home gym. Sensor lighting outside your garage is helpful when returning home late at night. It can also serve as a deterrent to any suspicious characters lurking about your property. Whether you use your garage as a workspace, a storage room, or a gym, good lighting is key. Out with fluorescent, and in with LED. LED lighting is more energy efficient, lasts longer, and lowers the risk of electrical fires and burns. I’ve got the power: do you use your garage as a workshop? The vast majority of home garages are equipped with just a few electrical outlets. For most of us, that’s not a problem. After all, not all of us use our garages for much more than leaving our cars and storing stuff that we don’t immediately need. But for those of us who use our garages as home workshops, “just a few” outlets don’t quite cut it. Powerboards, extension cords, a mess of different cables… sound familiar? Installing additional sockets in your garage can make working out of your home workshop a lot easier. More importantly, if your home workshop has a lot of high-powered machinery, a dedicated circuit reduces the risk of overloading your home electrical system. Whether it’s for your business or simply a place for you to tinker on the weekends, if you plan on working out of your garage, it pays to talk with a certified electrician. Your local sparkie will work with you to make your workshop more convenient… not to mention, a whole load safer! Talk to your electrician about getting additional electrical wiring installed in your garage. Going green with an electric car? If you’ve made the leap to an electric vehicle, first off hats off to you! But the purchase is just step one. Have you considered how you’re going to recharge your new electric vehicle (EV)? Charging an EV is more complicated than just plugging it into a wall socket with an extension cord. Your typical EV uses a lot more power than a smartphone… so naturally, a lot of electrical work can go into preparing your home for your shiny new (environmentally-friendly) car. For instance: did you know that there are three types of EV chargers to choose from? Each level offers a different voltage and amperage. Long story short: higher level chargers use more power and charge quicker. For example, if you own a petrol-electric hybrid with a small battery, a level 1 charger might be all you need. These chargers can generally run off your standard 3-prong household outlet, no additional installation needed! If you own a completely electric car, you might need a more powerful level 2 charger. And for that, you’ll need a certified electrician to install a dedicated electrical circuit to handle the amount of electricity. Call Briggs Electrical today for all your garage’s electrical needs! It’s vital that we take efforts to keep our home electrical systems up-to-date and fit for purpose. After all, where would we be without the miracle of electricity? Of course, that doesn’t mean you should neglect your garage! 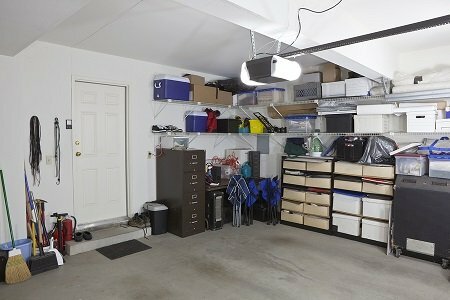 Your garage is much more than a place to leave your stuff – you’d be surprised by the amount of electrical work that can go into even the humblest garage. If you need an electrician in Moorabbin (or Cheltenham, Brighton, St Kilda, and beyond) for and domestic electrical needs around your home, including the garage, get in touch with Briggs Electrical! Our experienced and fully-licensed electrical team will work hand-in-hand with you to bring your garage to its full potential! Give our team a call today on 1300 300 222, or lodge a job now!